Simple layout keep cost down. Compact desktop design is perfect for cell production. Dust Collection from underside of cutting JIG, thus minimized adhesion of dust. Cutting Jig Can be Compatible with Upward Class NJ Series Machines. 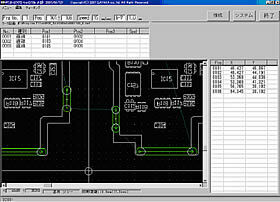 Create and edit cutting data based on DXF data. Start up the Teaching application PCB-EDIT2 on the PC and then just click somewhere you want to cut on the screen.(PCB-EDIT2). 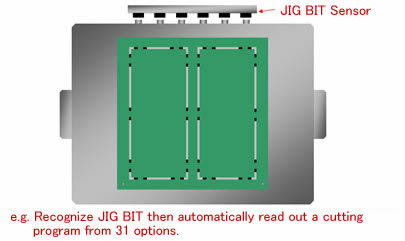 Automatic select cutting program with JIG BIT system from 31 program. 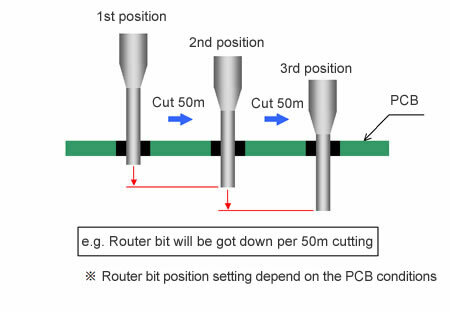 Extended router bit's life by the function of Z axis height 3 stages manual changeover. It reduced running cost.